The 1Pot XL System is extremely versatile and can be used for a wide range of plant types and sizes. Seasonal flowering plants and perennial shrubs thrive and produce an abundance of blooms and foliage because of the unique action of the AQUAvalve, which is designed to allow the plant to go through a wet & dry cycle. 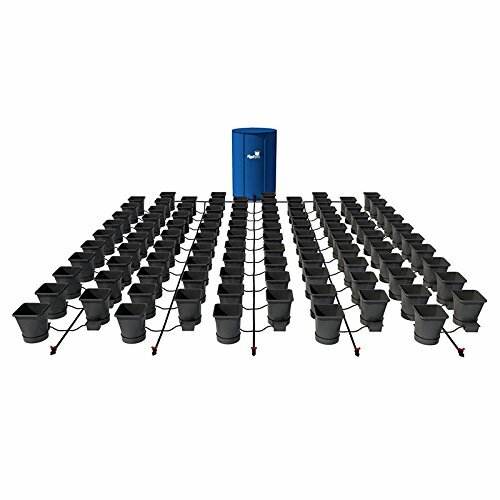 The 1Pot XL System is easily extended so many pots can be linked to a single reservoir. Please see examples of typical layouts using 1/4″ pipe or 1/2" pipe in the image gallery. The pots & trays can be easily moved at will, if the plants grow too large they can be spaced further apart with ease. Once set up and a reservoir is filled with water & mineral liquid feed this extremely versatile system will completely take care of all your plants needs. All you need to do is remember to fill up your reservoir from time to time.